How often do you find yourself wondering about the world, about nature, about art, about anything really? I'd like to think this happens constantly. The entire 365 Project was born from wonder. I wondered what would happen if I edited one image differently everyday for one year, and here I am 42 weeks deep into that question. 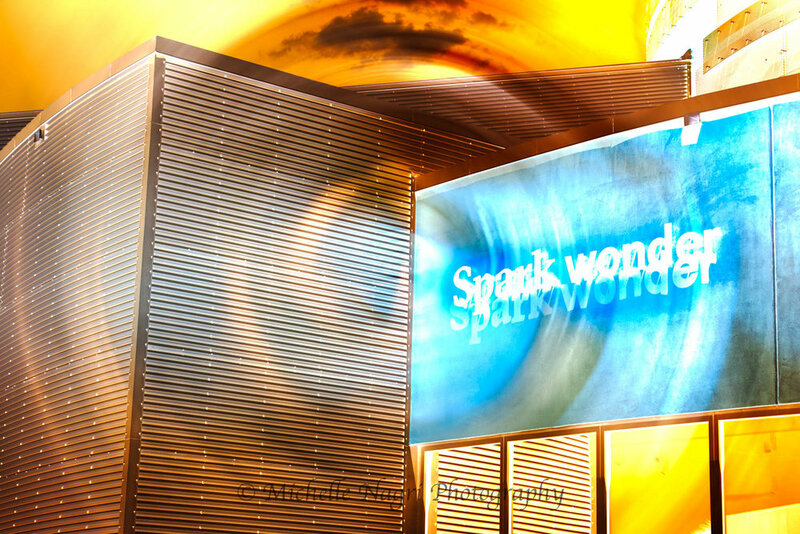 What is wonder, and more importantly, what sparks that wonder in you? If you recall from last week I explored the Fibonacci sequence through a photo I took of the interior of the Cade Museum for Creativity & Invention, combining it with my 365 raw image and the Fibonacci sequence. I wondered about the possibilities of combining these elements and acted on it. Interestingly, my wonder led to learning about Simon Plouffe and Leronardo Pisano Bigollo (aka Fibonacci), both of whom wondered about questions in relation to mathematics. Their wonder sparked more wonder in me. Their wonder impacted my own. Perhaps the 365 Project will have the same impact on you? In thinking about all this I had to reflect on what the word "wonder" actually means. Wonder, by definition, means: "a cause of astonishment or admiration; miracle; the quality of exciting amazed admiration; rapt attention or astonishment at something awesomely mysterious or new to one's experience; a feeling of doubt or uncertainty" (source: Merriam-Webster Dictionary). The term wonder has been debated for centuries going at least as far back as Plato. Since then wonder has birthed more wonder, and more questions about wonder. It's quite a beautiful thing really. I could go on and on here, but the question is deeper than this blog post is capable of delivering for now. If you are curious enough, I encourage you to dive into the world of wonder. Here's an interesting article to start with. Now on with the photography. As soon as I launched into week 42 I knew I had to use the image below, which was also taken at the Cade Museum. The results immediately spoke to me. Keeping the word spark in mind I tried to bring some fire into the mix giving it a true sense of literally sparking wonder, that fire within that moves us forward to unimaginable heights. 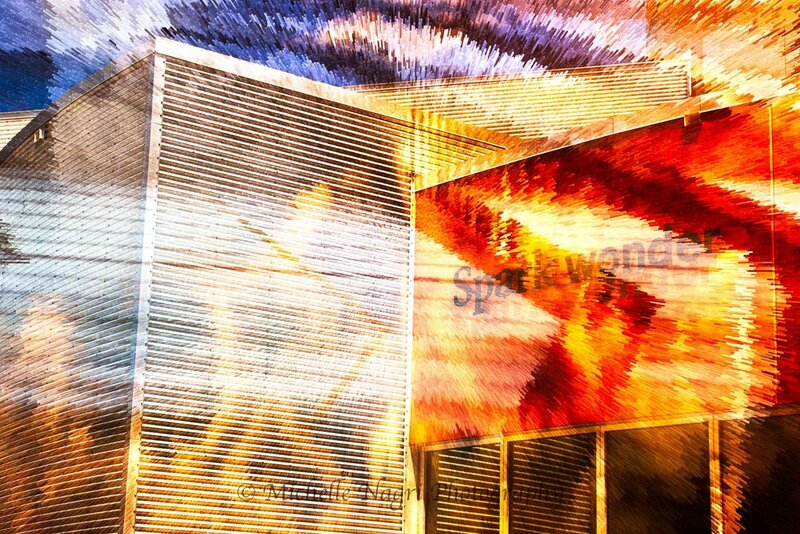 Spark Wonder at The Cade Museum for Creativity & Invention. Gainesville, FL. On to the results from week 42. I hope that you will keep the following questions in mind as you review the edits from week 42. Perhaps a specific image has sparked something within you? Or maybe you went down the rabbit hole in exploring the world of wonder? Maybe you'd like to share an experience you've had with wonder and where it led you? If you're daring enough, please leave your spark in the comments below. Thanks for your support. Cade Museum of Creativity & Invention. Gainesville, FL.